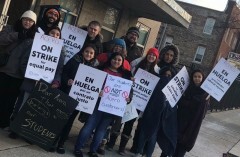 Picket lines strong in day 3 of Chicago charter school strike | Fight Back! 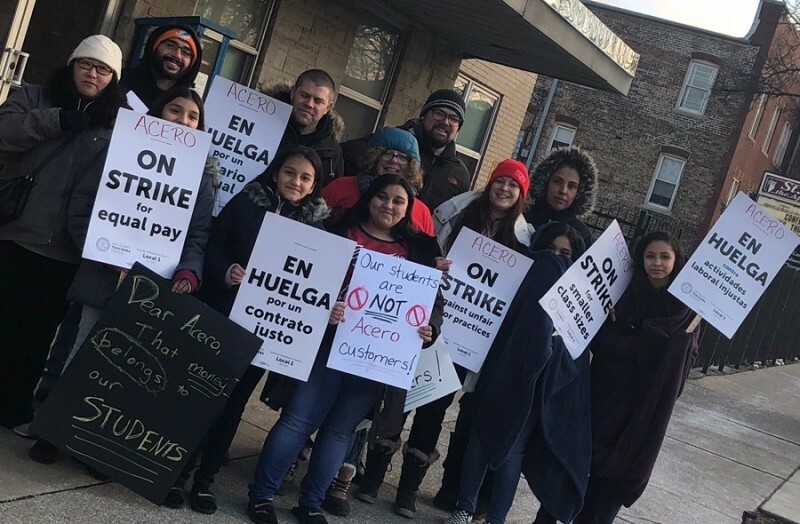 Chicago, IL – Chicago Teachers Union (CTU) teachers, paraprofessionals and support staff at 15 charter schools run by the UNO/Acero charter network are striking for a third day, December 6, and extending picket times to two shifts at each school. Teachers and staff at Acero are demanding fundamental changes in the charter industry. “It is time that we stop making CEOs and administrators rich. They are literally stealing from children,” said CTU organizer Richard Berg. After the picketing, yesterday, December 5, CTU strikers went to the Board of Education 500 strong. They demanded smaller class sizes, sanctuary schools, equal pay for equal work and that the employer follow the law in giving required services to special education students.